When you begin driving, one of the first things you learn to watch for is the police. After some practice (or a fewspeeding tickets), you can start spotting those the familiar makes and models of a cop car from what seems like miles away. You also learn to keep an eye out for cops on motorcycles. Motorcycles have always been somewhat easy to find, not necessarily because they stick out visually, but because they’re incredibly loud. So, let this be a warning to L.A. drivers: cops on motorcycles are getting quieter. The Los Angeles Police Department (LAPD) is testing two different kinds of electric motorcycles, the "Empulse LE" by Brammo, Inc. and the "DS" by Zero Motorcycles. 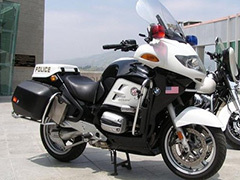 These new breeds of bikes would potentially replace gas guzzling the BMW and Harley Davidson motorcycles in the LAPD fleet, according to an article by the Associated Press that appeared on Fox News. department’s fleet more efficient, decrease costs and lower the department’s carbon footprint. The initial cost of the motorcycles is much cheaper than what the department is currently paying. Their current bikes are around $35,000 a piece, while the “Empulse LE” goes for $24,995 and the "DS" for $17,945. There are also reduced costs because these bikes don’t need oil changes and don’t need to be fueled up. The bikes can only go for about 130 city miles and then need to charge for about seven hours through a standard wall outlet. There is other equipment that can be purchased to reduce this charge time by several hours. This is one area that the LAPD is really testing, so it can see if having bikes with these limitations would work. Once testing is completed, the LAPD could be adding these types of bikes to its permanent fleet. In other words, this is positive news for the environment, but bad news for all of you highway speed demons. Posted on October 14th under Renewable Electricity.